Did you know that an approximation of about 15% of all adults prefer to sleep on their sides with their legs outstretched as much as possible? Another 41% of adults would prefer to sleep in an actual fetal position as their back is hunched and their legs are bent. So is there an appropriate mattress type for side sleepers? Side sleeping is quite common amongst women who are currently pregnant as this is amongst the best ways to accommodate the bumps of their growing babies. Keep in mind that this is a challenging position to sleep in and there are a lot of pressure points which could potentially cause you quite a lot of pain in the long run. So, what bed type can be useful for side sleepers? A great mattress is undoubtedly amongst the most important things that are capable of providing you with the necessary rest and comfort. Additionally, if picked correctly, it could also prevent snoring and improve circulation. Choosing the right one, however, is quite overwhelming as there are quite a few serious things that you should account for. This is where we step into the picture to provide you with a helping hand. 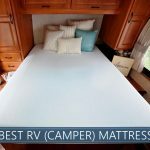 We synthesized the most useful information about picking a side sleepers mattress, and we also reviewed a few of the best ones currently on the market. With a thick memory foam layer and deeper contouring, pressure relief is a strong suit of Nectar. Not only does Nectar contour heavier parts of the body, but lighter areas experience contouring, creating a balanced feeling with proper alignment. It has quality construction and materials, such as a breathable Tencel cover and cooling gels, so you can rest without the worry of traditional memory materials that retain heat. 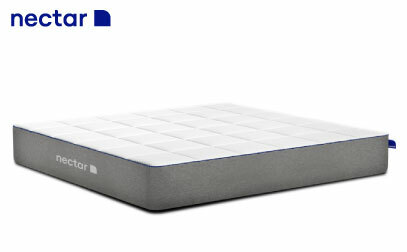 Nectar’s motion transfer is minimal, so light sleepers will not be bothered throughout the night. What stands out? Nectar responds to the pressure point issues side sleepers face exceptionally well while maintaining an extremely competitive price. Its affordability and quality materials make it a great value, along with a 365-day trial period and Forever Warranty. For more information about Nectar check our full review. Layla’s design includes copper-infused memory foam that is exceptional for relieving pressure and conducting heat away from sleepers. The bed is double-sided with different firmnesses, but the Soft side will give most side sleepers the best night’s sleep. The copper, combined with a cover infused with Thermo-gel that starts working when moisture is present, makes the bed is a great option for those who love memory foam but tend to get too hot at night. What makes it unique? The copper-infused memory layer is a cutting-edge innovation with a high level of comfort. Underneath that layer is a convoluted (egg crate shape) layer that helps with additional airflow and cooling. Copper is thought by many to provide a host of health benefits, including its antimicrobial properties. Since we are not science experts, we encourage you to conduct your own research in this area. However, what we can tell you is that the way the copper compresses and reacts to the cells around it results in impressive compression support! If you want to learn more about Layla see our in-depth review. Casper is making strides in ergonomic design. 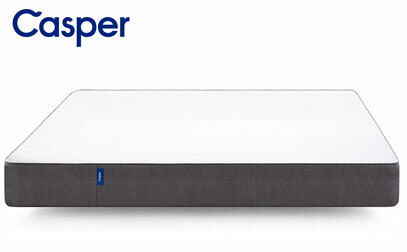 The Casper has been updated with an exciting new feature that improves upon their original model. 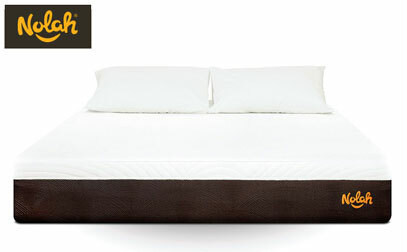 It now includes Zoned Support™, which is why we are featuring this bed as our Spine Alignment pick for side sleepers. Why is it special? Casper’s new Zoned Support™ includes a layer in the bed that is firmer under the hip region and softer in the area under the upper arm area. While laying on the side, the hips and core will be supported and not sink in as deeply, while your upper body is allowed further into the mattress – meaning the spine is comfortably aligned and pressure relief and support happen precisely where needed. The bed has solid support in its base layer, as well as a soft open-cell foam and memory layer above the Zoned Support™ layer. The overall feel of the bed is a medium firmness, which should also work well if you or a partner switch to a different position. Want to learn more? See our detailed review here. The WinkBeds is our hybrid pick, meaning that it combines a supportive coil base with the luxurious comfort of foams on top. It has three firmnesses options, as well as a Plus option for heavier individuals, and we recommend their Softer model for the ultimate pressure relief for side sleepers. This is a good option for people who like the feel of sleeping more in their bed instead of on top of it. What stands out? The brand adds another layer of their lush Hypersoft foam to the Softer style, as well as support coils that are more flexible than their other models. The brand goes beyond what many online hybrids offer by using coil-on-coil construction, with a row of Micro AirSprings and pocketed support coils for increased airflow, bounce, and durability. The WinkBed ships to your door (with the option of White Glove Delivery for an additional fee) compressed into a box. It stands at approximately 16 inches tall and has fantastic edge support, which can be an area that compressed beds have a harder time with. Head over to our in depth analysis to find out more. Nolah’s tech-forward design approach can be seen through their creation of the ultra-comfortable Nolah Air Foam™. It is the reason they made the side sleeper list for the side and back! Air Foam™ is designed to circumvent pressure on hips, the upper arm area, and backs. The company designed it as a response to what they view as outdated latex and memory materials. What makes it unique? Nolah claims their product provides four times less peak pressure than similar models and is more durable than latex. Their proprietary material is temperature neutral to help you stay cool at night. Also of note? They have an above-average trial period, so you can find out if the bed is your perfect fit. In addition to all of this brand’s benefits, they have a heart for doing good, which can be seen through their wildlife initiative. For every mattress purchase, they adopt a wildlife animal. For all features of Nolah, head over to our detailed analysis. 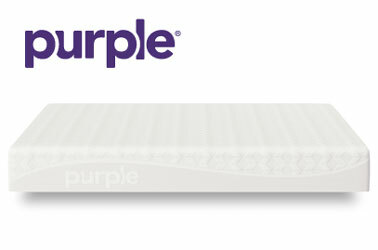 Purple takes an incredibly scientific approach to comfort and pressure relief for side sleepers. The company is well-known for their egg test, where they attach raw eggs to glass (with weights on top) and drop the eggs onto the bed without cracking. This demonstrates Purple’s pressure point relieving abilities. It handles the shape of the fragile eggs with care, yet stays supportive enough to evenly distribute the weight of the glass and prevent it from bearing down on the egg. Likewise, it will stay supportive of body weight while giving great pressure relief. What makes it special? Purple has an extremely innovative comfort layer made from Hyper-Elastic Polymer™ that is unlike anything we have seen. It has small cell-like structures that bend and buckle depending on the position and whether or not pressure relief or support is needed. This science-forward design has a different feel than most beds on the market but is very comfortable. The brand even calls it the “World’s First No Pressure™ mattress.” Because of its polymer materials, it is quick-responding and does an amazing job of creating a temperature neutral environment. For more information about Purple, go to our detailed review here. Bear’s construction puts it in a medium-contouring tier with balanced pressure relief and support. Individuals who want comfort from memory foam without getting stuck can enjoy this bed since it has a shorter one-inch layer on top. There is a high ease of repositioning with increased responsiveness in all but the slightly slower-responding memory layer, and there is a bounce in the bed. This is especially helpful if you sleep in another position for part of the night and need to readjust. Some memory or all-foam beds are known to overheat, but Bear does a good job of keeping sleepers cool. There are multiple cooling features in this bed, from a double infusion of gel and graphite in the memory layer to a cover made with Celliant®. What stands out? Bear has good pressure relief with additional benefits that may work well for athletic folks. It has a cover that contains Celliant® fibers that Bear says uses Infrared Yarn Technology to change a body’s natural energy into infrared light, potentially yielding quicker muscle recovery or better circulation. And you can look into this model further in our full review if you want to know more before you buy it. 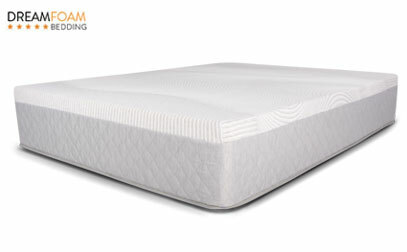 Rounding out our list of picks for side sleepers is a model by Dreamfoam, a brand from Brooklyn Bedding. If you like the advantages of a typical memory feel, such as being hugged by the bed, pressure point relief, and high levels of motion isolation, it is very likely that you will enjoy this product. What’s our favorite part? This Ultimate Dreams Supreme model is a superior budget option! The company behind the brand owns their factory, meaning they have fewer costs and are able to sell to consumers at a lower price. Even though it is less expensive, quality has not been sacrificed. There are two layers of memory materials above its base and the top layer has cooling gel. 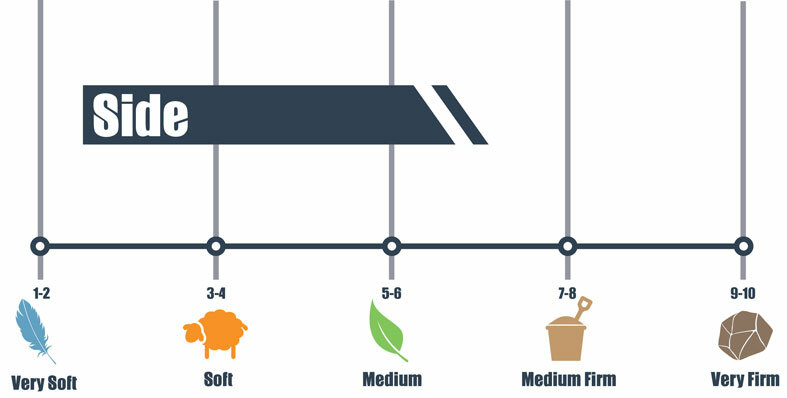 It has a true medium firmness level, meaning it is right in the middle of our firmness scale. If you want to learn more, see our complete review here. When it comes to side sleeping, there is one rather significant drawback that you should account for and handle as quickly as you can in order to have the best rest – pressure. The truth is that as much as people like sleeping on their sides, it causes a lot of weight concentration over a small area and can make certain parts of the body more prone to experiencing discomfort if you are not careful. One of the most common parts of the body that can experience pressure in this position is the lower back. The more constant the pressure is, the more severe the pain can become. The risk of continually repeating this cycle is development into chronic pain. Through the usage of the best mattress type for a side sleeper, you can relieve a lot of the pressure and, hence, help prevent any further conditions. This is quite critical, and it needs to be taken into consideration during your search. Hip pain usually starts to manifest and to become especially tricky and bothersome in women who are pregnant and prefer to sleep in the fetal position. Their lower back is usually hunched, with knees facing towards the chest area. This puts a severe amount of constant pressure on hips as they are not in a relaxed position. Even though it wouldn’t happen immediately, pain can start radiating throughout the entire area when you wake up early in the morning. Perhaps it will go away in a few hours, but it could ruin your morning or become a chronic condition if not monitored correctly. A proper mattress can help ensure that the pressure is taken off of your hips. If you are a side sleeper, you may also be placing a significant amount of constant pressure on your shoulder, which can result in stiffness and pain in the morning. Keep in mind that this is also attributed to the fact that your side sleeping position can put the shoulders in awkward poses that should be accounted for. A proper mattress that locks the position of your shoulder socket could potentially alleviate a serious amount of stress when it comes to it. Find our more in our list of top rated mattresses for hip and shoulder pain. When you sleep on your sides, the original allocation of pressure will concentrate on your neck. This can cause a lot of unpleasant stiffness, and it might even restrain your neck movements to a certain extent. That’s the last thing anyone would look forward to. With this in mind, if you take advantage of a mattress that is plush enough to relieve pressure off of the pressure points, you might help yourself quite a lot. This is why the beds intended for side sleepers usually provide a significant sinkage, as your weight is focused and more targeted. If the mattress is too firm, it is likely to cut off a significant portion of the blood circulation that takes place in your body. This is going to cause serious aching and pain just because it won’t contour the widest points in your shoulders. 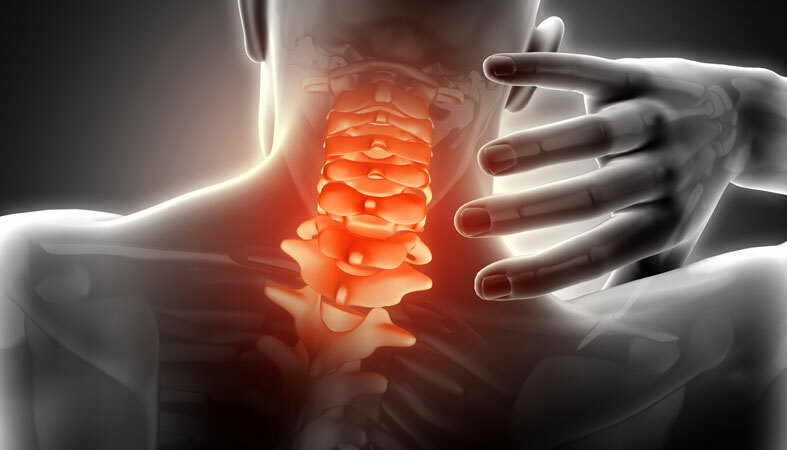 This could also be attributed to a severe spinal misalignment which most commonly results in severe pain in your neck area. That’s why a side sleeper’s mattress is likely to be a bit softer and, in any case, it should deliver an expressed contouring to make sure that everything is handled properly. Back pain could also be a result of inappropriate mattress combined with the awkwardness of the side sleeping position. If the mattress is too soft, or too plush, this can cause your lower back to sink in deeper, as that’s where more weight is being concentrated. On the other hand, if it’s too firm, this could cause serious discomfort, especially if you are lighter regarding weight. With all this in mind, the thing that you need to consider is the density of the foam as well as the softness of the mattress. Ideally, you’d be looking for a solution that hugs you without inducing the feeling as if you are trapped. At the same time, you are looking for a combination of softness and support to contour your body line while relieving you of pressure. Back pain could quickly escalate and cause a myriad of associated issues. It is most commonly caused by inappropriate postures as well as a lack of support while you sleep. If your mattress is softer than it should be, this can disrupt your alignment and cause a sensation of stiffness that will quickly translate to aching and severe pain. Make sure to take this into account when you pick up a top rated mattress for side sleepers. Are you struggling with back pain? We created a mattress guide specifically for back pain sufferers. The most popular choice when it comes to this category, a great memory foam mattress (for side sleepers) is something that you might want to consider. The truth is that there is a lot of merit for purchasing a solution of this kind for a range of different reasons. Right off the bat, when you look at the mattress types for side sleepers, the most important thing that you want to consider is whether or not it conforms to the contours of your body. This is undoubtedly something quite important, and you should take it into account. If it doesn’t, the firmness of the mattress, regardless of whether it’s harder or softer, can play a detrimental role, and that’s not a risk you should be willing to take. With this in mind, a proper mattress could easily be a great solution, but you may have to do a little testing and make sure that the foam aligns to your body in a relieving way that doesn’t alter neutral alignment. The softness should be adequate, but the support should not be compromised. Additionally, make sure that the foam is of high quality and that you do not get that trapped sensation typically indicative of lower-quality solutions. Are you considering a memory foam bed? Read our full buyer's guide here. Innerspring constructions bring a significant amount of value to your mattress because of the convenience that they provide. First of all, the overall breathability and air flow of these mattresses are incomparable to anything else on the market. Additionally, they are known for being quite supportive and reliable in this particular regard. Of course, they do have their drawbacks. For instance, if the coils are not individually wrapped, the longevity of the mattress may be more in jeopardy, and it may not last you as long as a regular memory foam option. So, is this a good side sleeper option? Overall, some traditional coil mattresses may not be the best choice. The reason for this is simple – they bring in significant support, but there is a definitive lack of conformity in some models. This could put more pressure on specific points, and that’s not something that you ought to consider. If the top layer is covered with a comforter of this foam-type, or if the coils are pocketed, the picture can change completely. However, the foam layer falls into an even more specific category (below) that you can consider. Are you considering an innerspring mattress? Read our full buyer's guide. Even the top-rated traditional innerspring mattress designed for a side sleeper may not provide you with the same level of convenience as a hybrid solution. A hybrid mattress is one that combines the comfortable support brought by the steel coil system with an additional or more than one layers of foam. 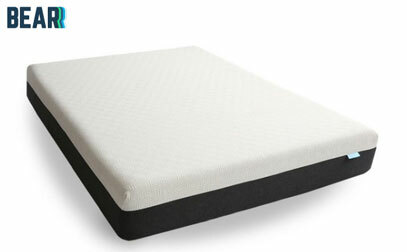 The type of foam could be different, but it’s usually high-quality memory foam that you should be looking forward to. In any case, there are quite a lot of benefits that stem from using a solution of this kind. While you can receive the necessary conformity that is lacking in traditional innerspring mattresses, the support that is brought by the coil system is something that foam mattress sometimes miss. This is a solid option because it brings a beautiful combination of comprehensive solutions intended to deliver the best sleeping sensation for a side sleeper with mixed materials. Think that a hybrid mattress is right for you? Read our complete hybrid bed buyer's guide. Lying on your side tends to produce the most pressure points because this narrow surface area is bearing your full body weight. To relieve pressure, foam tends to reign supreme, but some foams, especially traditional memory foam, might make you feel trapped or hot. Latex is in a number of new products because of its ability to address pressure points without holding your body in place or overheating. Latex is typically buoyant and allows lots of air to flow through it – qualities that help it remain temperature neutral and easy to navigate. Since the material is quick responding, it should immediately spring right back into its original shape. If you are a combination sleeper or an otherwise active sleeper, these constructions make repositioning easier. Not all latex is created equal and, depending on how it is processed, it can produce a remarkably different feel to suit different preferences/budgets. You can choose naturally sourced latex produced from rubber tree sap or synthetic blends or alternatives that tend to be more affordable. 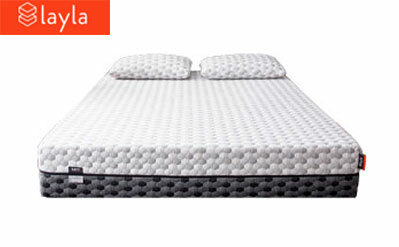 The Talalay process produces foam considered more luxury level because consistency and lightness, while the heavier Dunlop latex is processed more naturally and may contain less chemicals. Intrigued to learn more about latex mattresses? Read our complete buyer's guide. Although there are some general trends, you need to consider your personal preferences as well as any issues that you might be facing. With this being said, it is quite essential to land the most appropriate balance between softness and firmness. A mattress that’s too soft could turn out to be applying more pressure on your lower back and shoulders while firmer options bring tension to the area around your neck and hips. The solution is a balanced mattress aligned with your specifications. Remember to consider your weight. This is one of the most characteristic properties that you should account for. Heavier folks will usually prefer a firmer mattress because it will resist sinking too deep. Hence, solutions with thicker top layers may be preferable. On the other hand, if you are lightweight, you might consider a plush bed to avoid creating pressure points. Of course, it’s also important to consider the type of pain you might be feeling. All in all, when it comes to optimal bed firmness for side sleepers, you should aim for one that brings perfect spinal alignment when it comes to it. Want to explore the best soft beds? Check out our buyer's guide. Though traditional mattress stores and furniture stores selling beds still do good business, bed-in-a-box online brands are thriving and new and more innovative choices are cropping up every day, enticing potential customers away from brick and mortar shops. It may be more comfortable for you to shop in-store because you’d prefer to speak face-to-face with a person about which brand works best for you. However, many people are intimidated by salespeople, many of whom work on commission and are motivated to sell higher-priced items when upgrades may not be necessary. Almost all boxed brands have online chat functions that allow you to talk with reps about the product, many of whom do not work for commission. Additionally, exclusive side sleepers typically have highly specific pressure relief needs, and they may feel it’s better to make sure that a product properly aligns their spine and soothes their pressure points before purchasing. To address this, online companies offer generous trials that let you try the mattress at home, and you may have a better idea after a few nights than from 15 minutes in a store. 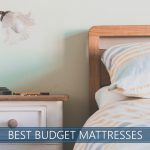 The quality of your sleep might not correspond to a price tag, as there are many considerations outside of craftsmanship and materials that might drive up the price of a mattress. Housing and displaying brands in a retail store, for example, may increase the price because the supply chain is longer, and there are many more middlemen who must be paid. A direct-to-consumer online sales model can save you thousands on the same quality of pressure relief side sleepers need. These brands can offer significant savings because the supply chain is much shorter, and oftentimes, a bed is coming directly from a factory right to your door. Beds that compress and roll into boxes also save the companies on storage and shipping. It’s more important to evaluate a bed in terms of its value and its suitability to your specific sleep needs rather than only thinking about the bed’s extra bells and whistles. Evaluate your sleep priorities, and shop for a product that delivers in these categories. You might find you spend a lot less money than you originally budgeted to invest. Want to shop the best affordable beds? Click here to see them. The reasons for that are numerous. In a nutshell, it comes down to better alignment of your entire body, including your internal organs and not just your spine. In fact, learning to adjust to resting in this position may seriously cut down on sleep apnea episodes for a significant amount of people (click here to read about beds for sleep apnea sufferers). Of course, as we’ve mentioned above, there are also challenges which associated with sleeping on your side. When you’re considering the benefits, make sure not to forget weighing in the side effects and potential risks as well. As you can see for yourself, there genuinely are quite a few things that you would have to consider when it comes to picking up the most excellent mattress for side sleepers. The awkwardness of the sleeping position requires you to react adequately and to make a particular choice to prevent any further complications. We genuinely hope that the information we’ve laid out above would provide you with the necessary assistance when you decide to go up against this challenge. We hope that you can make the right purchase without having to go through an abundance of different mattresses and waste a few days on it. The units we’ve described are amongst the most popular and practical solutions for your specific sleeping habits. Great public feedback has validated them, and they stand the test of the common user. I sleep about half on my back and half on my side while my wife only sleeps on her side. We always sleep snuggled together in the same spot on the bed. What mattress would work the best for both of us? Also what pillow would be the best for me for back and side sleeping? Hey Greg, sorry for the delay. L&L and Nectar (it’s a bit softer but still supportive) are some brands to consider based on your needs. I would say you can’t go wrong with either of them though. As for a pillow, you can check our article about that, and ActiveX from NestBedding can be particularly helpful for side/back sleeping. Hope this helps. I’m pretty sure you have this backwards. Heavier people are supposed to opt for firmer beds as the weight sinks down further and lighter people are supposed to go for softer beds so that they actually can sink in a bit. A basic understanding of physics and a google search back this up. Hey Amy, good point! Thanks for your feedback, my bad. I fixed this part of the article. I’m a side sleeper and have been using a sleep number bed for 10 years on a 60 setting. I’m 200 lbs. and looking to change. I was also recommended to consider the BearHbrid as an option. One of the things I don’t like with memory foam is the feeling of being “stuck” as I frequently turn from side to side. Have you reviewed this Hybrid? Hey Paul, thanks for your recommendation. We still haven’t reviewed it but we have it on our to-review list. I was recommended Casper by a close relative and he really made me think. So, I did a little digging over the internet and was finally convinced by reading professional reviews. I don’t know how it performs with other positions, but for a side sleeper Casper is a dream come true. Hi Sue. Thanks for reaching out. Check out our list for Best Cooling Mattress and thoughts for combination sleepers like yourself. Best of luck to you! I recently started waking up with a numb shoulder no matter on which side I sleep on. Guess it’s time to get rid of my old mattress. Any ideas on what to look for? Bear. I have shoulder issues and they seem to vanished when I adapted to Bear. Only, you should know that the company doesn’t offer the service to remove your old mattress, so, if you decide to go with bear, keep in mind you should get it out of your bed that before new one arrives. We’d have to know more about your size and personal preferences to give a specialized opinion, but take a look at our list here to see what strikes you. Thanks for reaching out and best of luck with your shopping excursion. Hi Adalis. Thanks for reaching out. We talked specifically about back pain and hip pain in a few of our best lists. Check them out here. Hi. 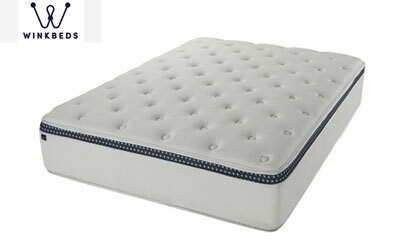 I’m looking to buy this mattress today(Brentwood Home Oceano). I’m wondering if you can answer a couple questions. I understand its supportive, but does it give you some hugging and contouring, or do you just lay on top of it? I’m looking for a plush with some sinkage, but not get swallowed. I’m also looking at their pillows. Any suggestions for a soft pillow from them also? Thank you so much for what you do. We do not have a review up yet of the Oceano but I’ve added it to our list. Check back soon!! Hi Michael. Thanks for reaching out. So sorry to hear about the pain you’re in. You’re definitely on the right track towards a solution, though I think after 15 years, it might be time to be looking for a replacement, definitely! Not sure when the quiz is back, but best of luck with your search!